BS RUBBER has been in the manufacturing industry for more than 20years . One of the products that we have introduced since early 2002 is the cow mat. It is the most cost effective investment for a diary. A cow mat protects the cow and also increases the milk production. Choosing the right cow comfort bed is the most critical for milk production and we have the solution to bring you the right product. Benefits of the cow mat. The cow mat provides unmatched comfort and thermal installation. Unlike concrete the cow mats helps to absorb shock and decreases the stress. The less the cow is stressed the more it increases milk production. Cow mat textured surface reduces slips and falls thus reducing injury. 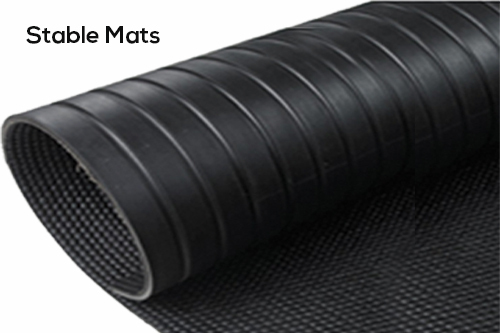 Cow mat is non porous made of high quality resilient rubber compound making it easy to install, clean and is very stable. 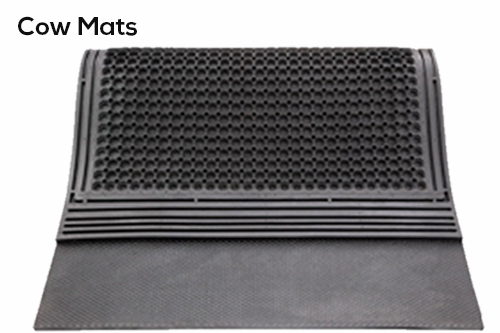 Unlike concrete or sand bed, rubber cow mat doesn’t absorb liquid or allow the development of bacteria. Cow mat could be cleaned using any existing method.